Bruges, Belgium. October 10, 2015. 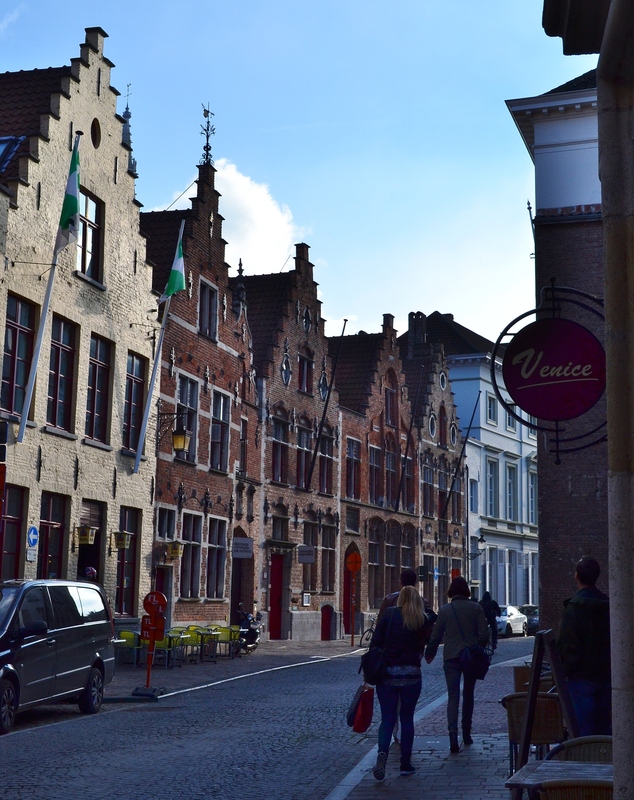 Hoping you’ll do a post on Bruges and Brussels? We are heading there in December for the markets! My only time in Brussels was this summer when I took my daughter for a One Direction concert–looks like a lovely city, but the trip was dictated by 4 teenage girls, so spent our entire time at the concert stadium. (Everyone has their own priorities!) We’ve actually talked about going to Bruges at Christmas too–it was so lovely that we need a trip back soon! Will try to post more info for you in the days ahead. And thanks for reading/viewing! interesting photo! did you do the canal boat trip? it’s great! The boats looked great, but we passed–one of my kids was coming down with a cough (that turned into the flu quickly), so we stayed on land where we could duck into cozy cafes, chocolate shops, waffle shops,etc, and stay warm. Next time, we try the boats!